How Do You Determine the Age of an Antique? How do you determine the age of an antique? Practice and study. Pore over reference books in your areas of interest, research online, talk to others who collect, participate in online groups and collecting clubs, hold as many authentic, old items as you can at antique shows - do whatever it takes to build your confidence level as an enthusiast. You'll still run across things that will stump you from time to time, but work toward that goal of "just knowing." Materials or techniques not often used in modern production such as square nails or hand stitching. Hand-applied ornamentation or decorating techniques that would likely be machine applied today. Styling indicative of a certain time period such as Victorian, Art Deco, the Arts & Crafts movement or Mid-Century Modern, also referred to as ​Eames-era design. Antiques and older collectibles are not going to be absolutely new looking in most cases. This is why people pay so much more for old items in "mint” condition because they don’t crop up as often as pieces with telltale signs of aging and wear. It’s a sad-but-true fact that many items produced years ago possess a distinctively high level of quality when compared to their new counterparts. For instance, decorative accents are more likely stenciled now than hand painted. Mechanized assembly has replaced hand craftsmanship for the most part, and less expensive materials are used now to keep costs down and profitability up, especially when comparing some newly imported goods with those made many years ago. Recognizing quality not only serves to help in determining the age of an antique or collectible piece. Developing an eye for quality serves the antiquer well when it comes to picking up bargain pieces that are worth far more than their asking price, also known as “sleepers” in the antique biz. Many of these excellent buys are unmarked, but those with an eye know an opportunity to profit when they see one. There are newer items, even imports, that are nicely made and have some value even if they are not old. Nevertheless, you have to be able to separate the wheat from the chaff. Part of your education should involve looking at new and reproduction items. You can do this hands-on in gift shops and import stores where vintage copies abound. There will always be revivals of antique styles interpreted into new items so knowing what is currently being produced in your areas of interest will serve you well. Many mail order catalogs feature reproduction items, especially during the holidays, so those are great informational resources as well. Doing an online search to find websites specializing in antique reproductions can also be enlightening. There are times when old brand names, like Moorcroft or Lalique, are still in production so visiting their websites will smartly let you peruse current offerings and get an idea about current retail pricing. 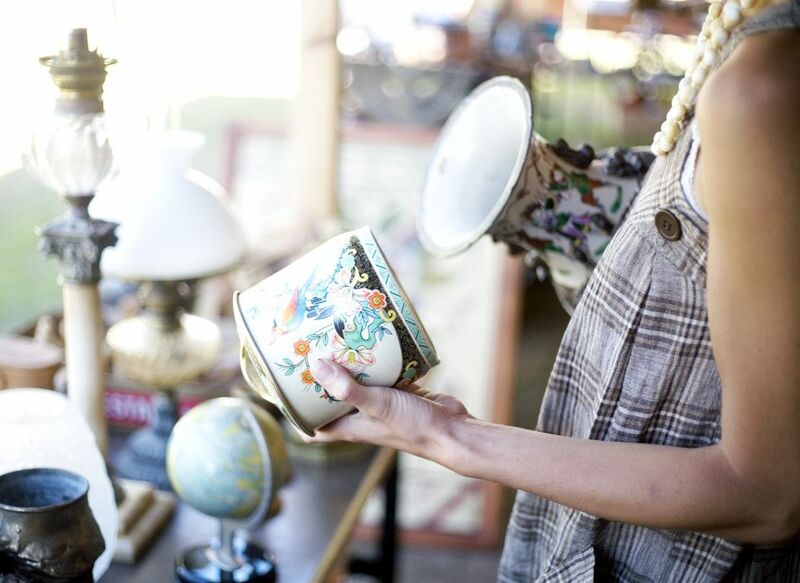 Keep in mind that even generalists who've been studying antiques for many, many years don't know everything. They are constantly studying, discussing, and evaluating items in their areas of expertise. You'll have to do that, too, if you ever want to get to the point to where you "just know" about the age of antique.